SCOTTSDALE, AZ--(Marketwired - Oct 14, 2013) - Guardian 8 Corporation, a provider of enhanced non-lethal [ENL] personal security devices, today announced that it has signed Nova Security Group (www.novasg.com) as a distributor of the G8 Pro V2 product line to school administrators and campus safety officials. The G8 Pro V2, which is the first in a new category of security products called enhanced non-lethals (ENL), emphasizes layered defense concepts that allow teachers to repel intruders without exposing their position. The Pro V2 can also be used to communicate vital situational updates to off-site officials and record video of the event. Guardian 8 Corporation is the wholly owned operating subsidiary of Guardian 8 Holdings (OTCQB: GRDH). 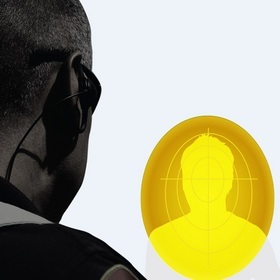 Guardian 8 CEO, Steve Cochennet, commented, "We intend to change the dialogue on campus safety in our Nation where a successful defense teeters on the few minutes between intruder detection and law enforcement response." School teachers are often instructed to respond using a commonly taught Run-Hide-Fight concept where direct conflict is avoided and teachers focus on concealing students from harm. It is considered a vital approach in protecting 64 million students in kindergarten through 12th grade in the US. "Nova Security Group has the body scanners for detection and survival training acumen that will help us introduce the Pro V2 as a wise choice for the educator community," Cochennet added. Nova Security Group will be placing a $10,000 order as an initial stocking inventory of Guardian 8 product. 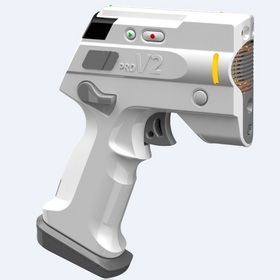 The G8 Pro V2 fully integrates several non-lethal technologies and a communications platform to provide a safer personal defense solution. It provides a layered defense as an alternative to force from up to 50 feet away, including laser spotter, siren, strobe light, O.C. pepper spray, camera with voice and video auto-record functionality, and push-to-talk communications capabilities. The cost of the Pro V2 unit is advertised on the company's website at $279 per unit and accessories are also available. For full details on product and pricing, visit the Guardian 8 website. 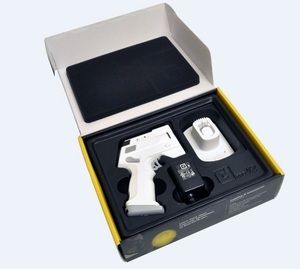 Guardian 8 Corporation, the wholly owned operating subsidiary of publicly traded Guardian 8 Holdings (OTCQB: GRDH), is defining a new market category for personal safety and security tools: "low-impact (low-risk) enhanced non-lethal (ENL) devices." The company develops, manufactures and sells innovative personal security devices designed to deliver layered defense for low-impact de-escalation and risk mitigation. Guardian 8 is based in Scottsdale, Arizona. Such statements are based on expectations, estimates and projections at the time the statements are made that involve a number of risks and uncertainties which could cause actual results or events to differ materially from those presently anticipated. Such statements involve risks and uncertainties, including but not limited to: any implied or perceived benefits resulting from the Nova Security Group agreement; actual sales to be derived under the agreement; size of orders received for Guardian 8's products; acceptance of Guardian 8's products in the education industry; Guardian 8′s and its subsidiaries business prospects; the ability of Guardian 8 to execute its business plan; benefits of the G8 Pro V2 device; any other effects resulting from the information disclosed above; risks and effects of legal and administrative proceedings and government regulation; future financial and operational results; competition; general economic conditions; and the ability to manage and continue growth. Should one or more of these risks or uncertainties materialize, or should underlying assumptions prove incorrect, actual outcomes may vary materially from those indicated. Guardian 8 is scheduling training opportunities across the country throughout the remainder of 2013. Hands-on certification is the best way to familiarize yourself with the dynamic features and functions of the G8 ProV2 and is essential for properly integrating the product within your organization. The G8 Pro V2 is a lightweight, duty-belt device, designed to arm security guards with a single tool that provides multiple layers of defense, a command center communication link and automatic incident recordings of both audio and images. The device gives users the best situational and tactical perspective to take appropriate non-lethal action to mitigate risk and loss.